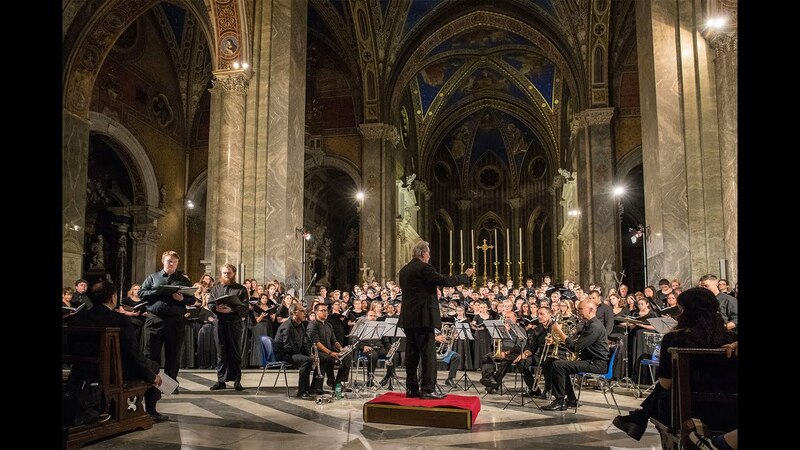 The Rome International Choral Festival is one of Rome’s premier annual summer music events. The eleventh-annual festival will feature Mass participation at St. Peter’s Basilica in the Vatican and a formal finale concert at Rome’s famed Saint Mary above Minerva Basilica on June 24th, 2019 and June 24th, 2020. The festival chorus will include mixed-voice singers and choirs from across North America that will come together to rehearse and perform en masse under the baton of maestro Z. Randall Stroope. Tour and festival production is provided by Music Celebrations International. St. Peter’s Basilica is one of four major basilicas of Rome. It is the most prominent building inside the Vatican City and built on the ruins of Old Saint Peter’s Basilica. Directly to the east of the church is St. Peter’s Square (Piazza di San Pietro), built by Gianlorenzo Bernini between 1636 and 1667. It is surrounded by an elliptical colonnade with two pairs of Doric columns which form its breadth, each bearing ionic entablatures. The Basilica of Saint Mary above Minerva is considered the only Gothic church in Rome and is the city’s principal Dominican church. The basilica gets its name because, like many early Christian basilicas, it was built directly over (sopra) the foundations of a temple dedicated to the goddess Minerva. Behind a self-effacing facade, its arched vaulting is on painted with brilliant red ribbing, and blue with gilded stars, a 19th-century restoration in the Gothic taste. The basilica is located on the small piazza Minerva close to the Pantheon, in the Rione Pigna.